Acquisition and sales telemarketing services help businesses to generate new subscriptions, retain existing customers, reach stopped subscribers, and up sell existing subscribers. At The Pisa Group, we can utilize a number of effective techniques in order to target your best customers and achieve the best results. Our services include sales telemarketing, direct response marketing, up sell programs, order fulfillment, and specialized campaigns. To learn more about how our sales telemarketing and acquisition services can help meet your subscription and marketing goals, please contact our call service center and telemarketing company. Sales Telemarketing: Sales telemarketing is simply making outbound telemarketing calls to potential customers. However, The Pisa Group increases the effectiveness of each telemarketing call by utilizing an effective marketing database and efficiently developing your target market. With this information, we can create a sales presentation that is targeted specifically to your market, and therefore, it is more likely to lead to effective sales telemarketing. Direct Response Marketing: Direct response marketing is a type of marketing designed to solicit a direct response from customers, which is specific and quantifiable. As this relates to our acquisition services, we can send email blasts or direct mailings with special offers in an attempt to have potential customers call in and subscribe or upgrade a subscription. During these services, we will maintain accurate and detailed records of the responses received. Up-Sell Program Marketing: With this customer acquisition and sales telemarketing service, we will attempt to reach existing customers in order to up sell their current subscription. We will also target specific customers who are most likely to purchase in order to make our sales telemarketing services most efficient. Order Fulfillment: With our order fulfillment services, our inbound customer service centers receive calls from those interested in signing up for a subscription. 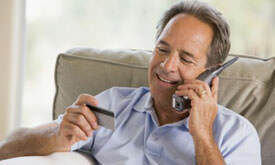 We can process these calls by taking customer information and payment information as customers sign up for subscriptions. We can also respond to customer inquires using our outbound customer service centers to process new subscriptions and sales. Specialized Campaigns: We can develop a number of specialized campaigns using our cold calling, target marketing, and sales telemarketing services. These specialized campaigns can be designed to increase new subscriptions, retain existing customers, or up sell current subscribers. For any specialized sales telemarketing campaign, we can develop specific goals and objectives. One of our available sales telemarketing and customer acquisition programs we commonly use is our Sunday Select Program. 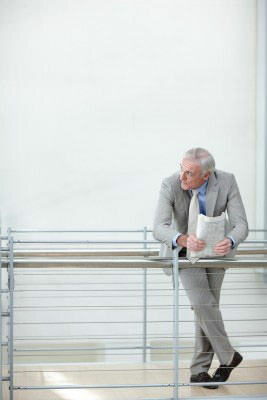 The Pisa Group, Inc. is known as the “Sunday Select experts” in the industry. Our experience goes as far back as 2008 with several Gannett Newspapers to date, the majority of McClatchy Company Newspapers along with several other individual newspapers. Our typical close rates on this campaign average from 40-60% on our first pass. If you need data to obtain your goal, The Pisa Group can provide name and address households based on the zip codes you would like to target. We have begun projects as far out as 6 months from drop date to wrapping up campaigns needing few hundred more within last week before drop date. The Pisa Group has closed anywhere from as little as 2000 opt-ins to over 30,000 for different markets.